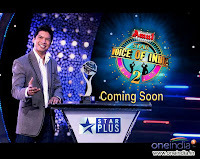 Ishmeet Singh winner of of the popular Star TV reality show Voice of India died in Maldives on Tuesday evening. He drowned in the swiming pool of his hotel Chaaya Island Dhonveli in Maldives. Ishmeet arrived at Male’ this morning, to perform in the Star Voice of Maldives, shortly to be held on 1st August. “It is very unfortunate and I came from Gajendra Singh about this incident. I am absolutely shocked,” said the singer Shaan. Ishmeet Singh, an 18 year old boy from Ludhiyana used to suffer from stage fear in his childhood. The fear was overcome after he sang in front of a huge crowd in the Delhi Audition of Star Voice of India. He is a true fan of Shaan and considers him as his idol. He also admires A. R. Rehman and his dream is to sing for him. 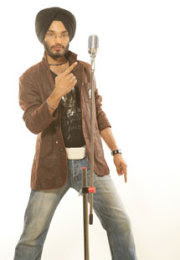 He was among the top 2 finalists on Star Voice of India and was crowned the winner on November 24, 2007. He was also one of the contestants of Jo Jeeta Wohi Superstar, a singing competition on Star Plus channel and represented the Champions team. He was eliminated on June 20, 2008. Ishmeet You Will Always Be In Our Hearts. We Will Never Forget you. I am really very much shocked to hear this news. He was such a wonderful boy. Daily Newspapers like "Sahara Samay" & some other web sites also confirmed the news. Ishmeet we will always remember you & will never forget. I am touched by your gesture for Ishmeet. You hv written this obituary even when you had closed this blog. I request you just for Ishmeet's sake you continue the SVOI blog. I am as shocked as anyone who loved this gentle boy of a very sweet nature. He used to sport the calmness we see on saintly figures. I know that Jatinn feels a great personal loss. But let me assure Jatin that he was dear to me as a person. I am shocked beyond words at this tragic loss of a good human being. May lord show his compassion to his parents and his friends like us at their personal loss. Ishmeet will be always in our heart and we will never forget that wonderful boy. And I will definitely continue SVOI blog. Thanks for all of your supports. You are right bro. Ishmeet's so early death not only a great loss for his family, relatives or for few people but it's great loss for everyone of us to loose such a great talent from us. We will always feel him. The way you all once encouraged & inspired me to write again I will never forget. Thanks to all of you. Ishmeet's death not only shocked in India but also in Bangladesh. For the last two days, most of the people here in Bangladesh discussed on Ishmeet's death and still continuing. I saw so many peoples sad faces (From office colleagues to friends, neighbors, relatives) for this shocking incident. My mom never missed such musical shows of Indian channels as she likes them very much. I can still remember, at SVOI 1 Grand Finale for some reason my Mom's support was for Ishmeet and she was very much happy when he won. When I informed her about this incident she was too shocked and immediately prayed for this 19 years old boys pure soul. I believed many moms did the same here & there for him. I personally believe, Ishmeet's death is not only an accident but something else. The boy who once shied and scared to perform in front of large crowds and which took long to make him comfortable to do so can't just go for swimming or so near to the swimming pool (Where there is a chance for accident)at evening all alone at the first time. Ishmeet even didn't know how to swim and he tried to swim at the deepest part of that at first time thats unbelievable. And the question which is really disturbing me, why there wasn't a single people near to that swimming pool at that time!! So according to me, it was not only an accident but something else and I believe the truth will reveal soon. I am touched by your dedication. Your love for blogging has touched me because you not only decided to go all alone but also continue even if people blogged here or not. True to "Ekla Chalo" philosophy of Tagore. 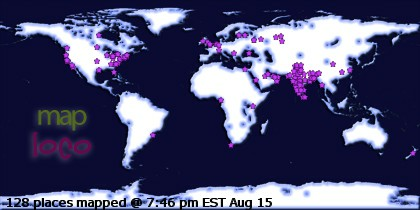 I will keep visiting this blog from now on.